If you visited Sawgrass Marriott Golf Resort and Spa during its first twenty-nine years in business, you likely went for the golf. Before the sixty-five-acre resort turned thirty last year, it served as a sprawling love letter to the sport, with golf tournament flags hanging from the ceilings and fairway-green carpets blanketing the halls. Its casual restaurant, Alice & Pete’s Pub, was named in honor of golf Hall of Famers Alice and Pete Dye, and many a guest room showcased pictures of the pair. The resort’s claim to fame has always been its access to priority tee times at TPC Sawgrass next door (where the prestigious Players Championship is held each spring), and for most of its history, it banked on this particular perk. But golf—even great golf—can’t overcome all shortfalls. Over the years, the 514-room resort began to show its age: Stucco ceilings, Juliet balconies, and garish red-and-gold furnishings belonged to a decidedly dated era. Occupancy sagged, and in 2010, the resort went through bankruptcy proceedings. In 2015, new owners announced a two-year renovation to bring the resort experience up to par with the golfing one. Down came the flags; up went groovy pendant lights. Red tweed couches were swapped for chocolate leather ones. 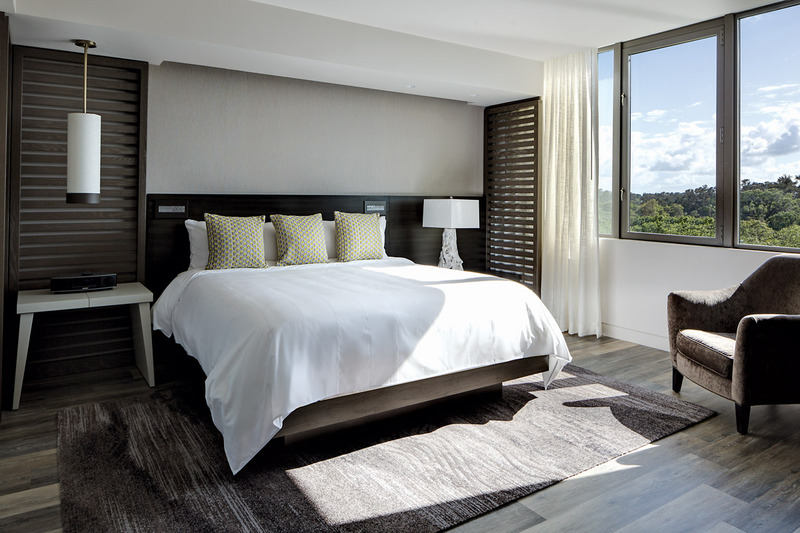 Rooms were redecorated and the Juliette balconies removed, increasing the average guest room size by thirty square feet. And an entire wing was gutted to create thirty premium rooms with private access to a VIP area offering snacks, drinks, and concierge service. The overhaul can be felt beyond the main building. The standalone spa now offers a twenty-four-hour fitness center and a hair and makeup salon. By the pool, a new Surfstream wave simulator lets guests try surfing or boogie boarding on the only wave machine of its kind in the continental United States. And over at the beachside Cabana Club, fresh landscaping and resurfaced pools are joined by a giant decorative wall of potted herbs providing ingredients for a number of the resort’s salads and cocktails. As significant as these changes are (some longtime visitors say they hardly recognize the place), they don’t eclipse the glory of playing the famous seventeenth hole at TPC Sawgrass. 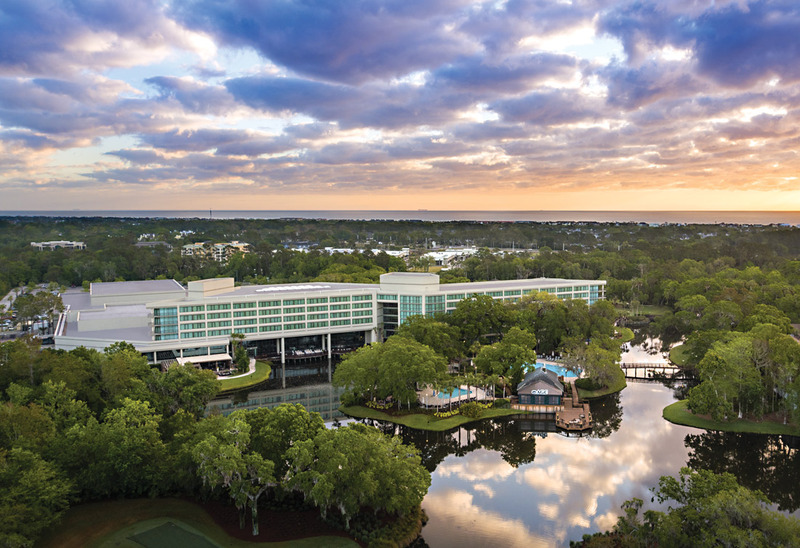 But the upgrades have caused a fundamental shift: Instead of simply being a place golfers go to vacation, Sawgrass Marriott is now a place where vacationers may come to golf.